Judy Wheeler, a volunteer from Madison Park Christian Church, shares her beautiful servant heart with Horizons every week in our food pantry. Her words are a wonderful testimony of love and grace to a hurting population. Why do you volunteer at Horizons? Because I know it’s where God wants me, it’s what He has put in my heart to do. 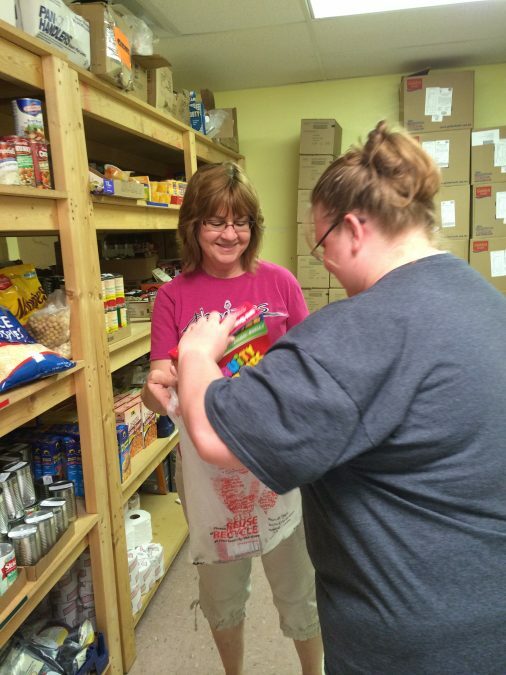 Over the years it’s become even more of a passion for me as I’ve come to know many of those who use the food pantry each month. Why does our community need Horizons? The number of people using Horizons is continually growing. In the summer when the kids are out of school, the lines are even longer. 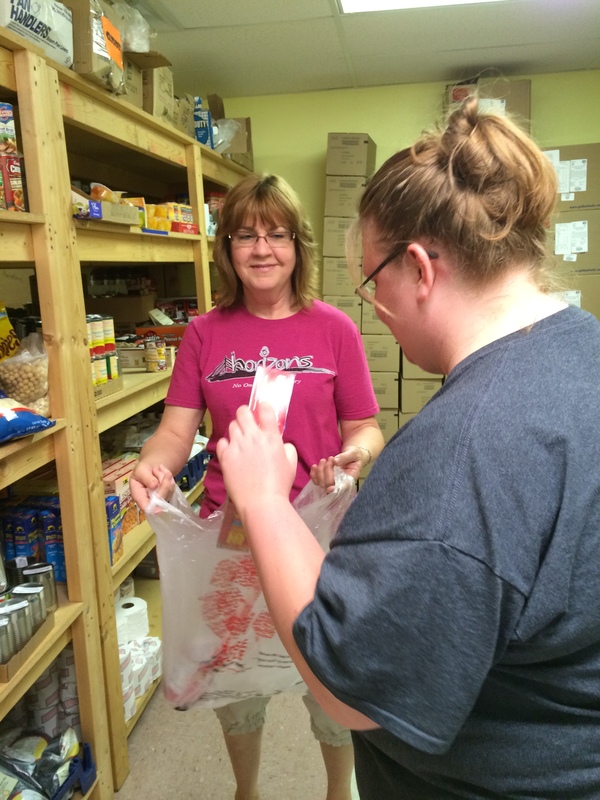 Horizons provides a hot meal each day during the week, and groceries each month to a surprising amount of the Quincy community and the surrounding area. I think the fact that Horizons is needed is unquestionable! Can you share a Horizons experience that is especially meaningful to you? There have been several times where someone has hugged me with tears in their eyes, and said they don’t know what they would have done without us. It’s an unbelievable privilege to be a small part of that. What has surprised you most about working at Horizons? What a difference we can make not just by providing food, but by treating everyone with respect and kindness; not judging them, but showing them God’s love. A widow who was shy and barely spoke at first, now eats lunch with me, and chats about her grandchildren. A man that was surly and had a bad attitude every time he came in, actually smiles at me now, and jokes around. More and more have shared with me that they look forward to coming to Horizons! What do you wish other people knew about Horizons? That the people we serve there are not all just looking for handouts. Some have lost their jobs, and are actively looking for work, some just come when they absolutely have to, and only take what they need. Others have had their households grow as they’ve taken in those who had nowhere else to go. A majority of those we see are people who are working, but still don’t make enough to make ends meet. What keeps you coming back to volunteer? I want to be used as God’s hands and feet.